The French Press is more than just a coffee house. 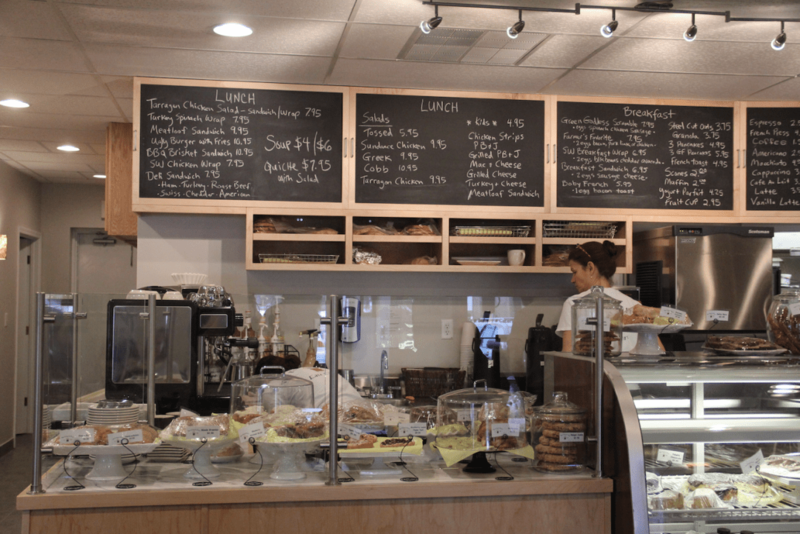 They are a locally owned café serving made-from-scratch breakfast and lunch and a bakery. They are also a place where the neighborhood gathers to eat and enjoy the Eau Claire culture. Join them soon for a great dining experience. Find out more about The French Press on their website. RULES REGARDING ENTRIES - Entry must be complete and accurate to be considered eligible. All entry forms must be filled out properly including first and last name, email address, etc. Volume One and featured "For The Win" business reserves the right to reject improperly filled out forms for any reason. Participants must be a minimum of 18 years of age. Winner may have to show proof of age. This promotion is void wherever restricted or prohibited by state or local laws. One entry is allowed per email address. Additional entries are automatically removed before the final drawing. This sweepstakes is void wherever restricted or prohibited by state or local laws. ELIGIBILITY - Employees of Volume One, featured "For The Win" business and its affiliates and all immediate members of their family are not eligible to win. PRIZES - One (1) eligible winner will receive prize offered by featured "For The Win" business. The odds of winning depend upon the number of eligible entries received. NON-RETURNABLE ENTRIES -- All entries become the property of Volume One and featured "For The Win" business. By submitting an entry form entrants consent to the collection, processing and use of the information contained in the entry form by Volume One and featured "For The Win" business for any purposes it sees fit, including the use of this information for marketing purposes by Volume One and featured "For The Win" business or for third party companies at the discretion of the Volume One and featured "For The Win" business. Winners allow Volume One and featured "For The Win" business the right to use their name for promotional purposes without further compensation. No cash redemption or prize substitution allowed by winner. Winner will be determined on basis of random drawing. Winner will be notified by e-mail and/or phone within 24 hours of promotion ending. If winner does not respond to notification within two (2) days, it will be assumed that the prize is being forfeited. By the act of entering, a contestant agrees to abide by the above rules. Volume One and featured "For The Win" business reserves the right to amend these rules at any time.